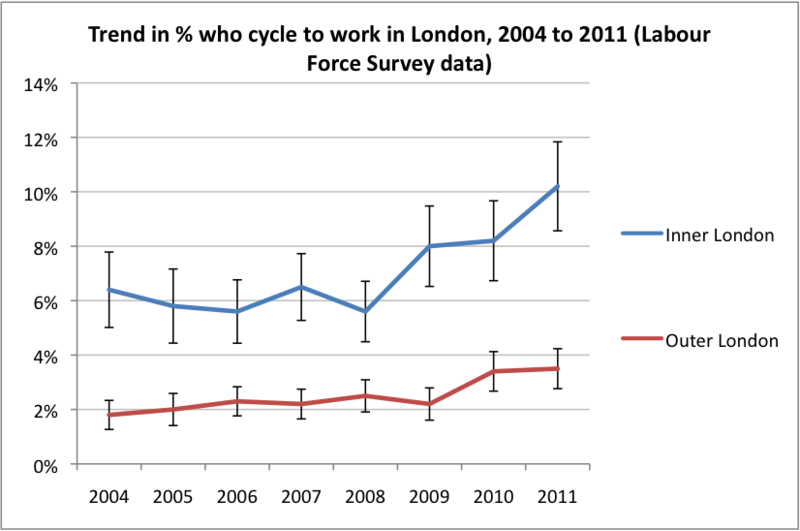 Cyclists in the City: Number of children cycling to school in London decreases since 2006. Not a huge surprise. That's one reason I'll be joining The Big Ride on April 28th. 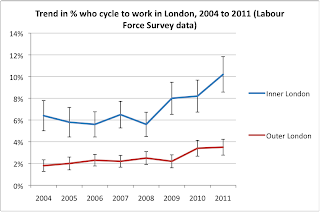 Number of children cycling to school in London decreases since 2006. Not a huge surprise. That's one reason I'll be joining The Big Ride on April 28th. Would you let her cycle to school in London? No? Join the Big Ride April 28th to change that. The government issued a report today about cycling to school. The statistics in London show a 0.1% decline since 2006. I'm not hugely surprised. Over in Denmark, 55% of children cycle to school. On their own. 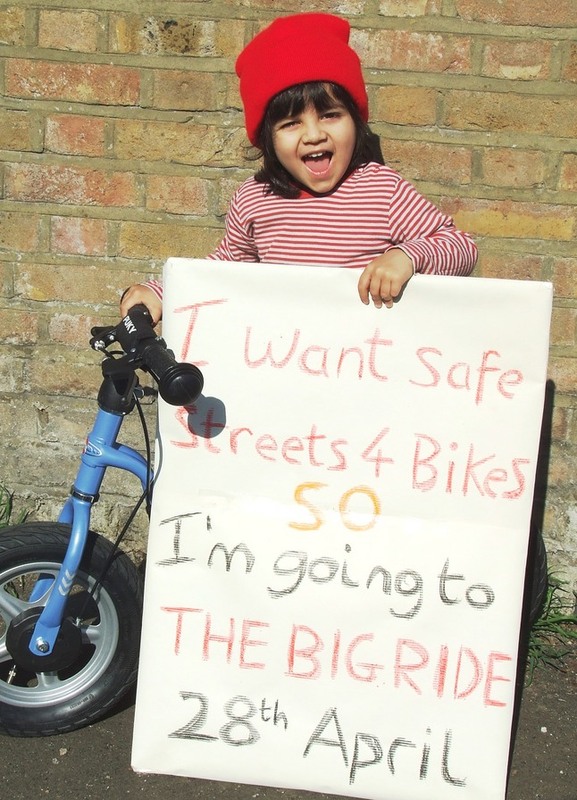 Would you let your child bike to school alone in London? Probably not. Back in the UK, the government has just announced that it will continue to invest in cycle training for children for the next three years. The plan is to ensure young people are "prepared with the skills and confidence to ride safely and well on modern roads". It thinks more training will get more kids cycling to school. As David Hembrow puts it so succinctly on his blog today, the reality is: "More training, less cycling". Don't get me wrong. I think cycle training is a very valuable thing. I remember being taken on my bike around roundabouts and dual carriageways as a teenage Scout and having cycling road sense drilled in to me. But the thing is, cycle training alone is not enough. Frankly, the roads have changed beyond all measure in the last 10 or 20 years. For starters, there are more and bigger roads but there are also millions more and much bigger and faster motor vehicles. The result is a road environment where the Prime minister admits you need to 'take your life into your hands' to cycle in most of our cities and Boris Johnson Mayor of London says that cycling around big junctions like Elephant & Castle is simply a matter of 'keeping your wits about you'. That sort of thinking leads to an environment where only the fit and the very confident take to two wheels. So, the good news is that 10% of inner London residents now cycle to work (almost despite the road conditions?). But the more sobering news is that hardly any children cycle to school. Over in Hackney, 1.8% of children regularly (sometimes?) cycle to school. A whopping 66% would prefer to cycle to school, according to Sustrans. Clearly, school kids and their parents look at David Cameron's and Boris Johnson's comments on cycling, look at the reality of the roads and think, nope, not doing that. One council is having a real go at cracking this latent demand for safe cycle routes to school, and that's down in deepest, darkest Brighton. Jim Davis is doing a great job of tracking the installation of a new bike track on Old Shoreham Road. To shrieks of protest from some drivers, the road was closed in its entirety for a few weeks so that contractors could lay down the basic foundations of the route. The purpose of the new bike track, says Jim, is "an attempt by the Council to link schools and colleges along the route"
I reckon the shrieks of protest in Brighton will die down soon enough. But in London, the reality is that our Mayor still expects people to fling themselves on bikes around large junctions and down main roads designed to prioritise motor vehicle flows. He's backing off from antagonising the 'motorist' and the result is that he's trying to build bike routes that are full of compromises. I want the Mayor to stop cutting corners when it comes to cycling. And I'd like my neighbourhood to be the sort of place where kids can safely cycle to school. There's no reason that couldn't be achieved in London. As Copenhagen's Mayor points out, our own London Mayor needs to show 'political courage' if he's ever going to generate his promised 'cycling revolution'. So far he's shown he wants to support cycling but he's riddled that revolution with far too many compromises, sinking it before it even really gets afloat. I think it's time to address cycling properly, whichever Mayor we have in London from May 4th. Tens of thousands of people think likewise. 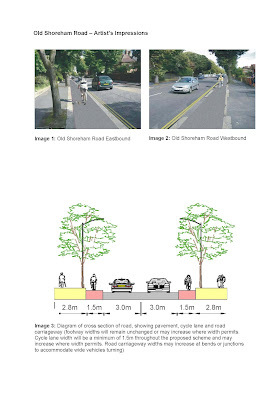 The London Cycling Campaign has notched up nearly 30,000 signatures to its LoveLondonGoDutch campaign which argues for exactly this sort of thing. (If you haven't already, please sign the petition here). And it is expecting 10,000 people to come to central London on April 28th for the largest (non-sponsored) mass bike ride to protest for safe cycling as a real transport alternative in London. The Campaign now has feeder rides coming to Hyde Park from every corner of London - from Havering, Wanstead, Camden, Lambeth. You can see the list of feeder rides here. There are dozens of them. A whole host of roads in central London will be closed off especially for the ride. You can find out more on this page here. What depressing figures, having just read David's blog before this one.